"Confessions of a Hollywood Movie Medic", by Tony Whitmore, LACo Recurrent O.L. "County Recurrent" is pleased to present a new interview with Veteran LACo Recurrent O.L., Tony Whitmore, who for many years has been a Feature Film and Television Set Medic. 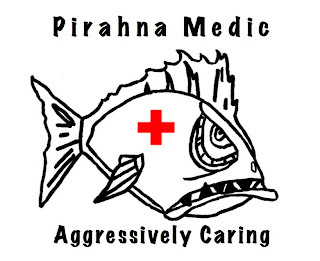 County Recurrent (CR): So Tony, how long have you been a movie set medic ? Tell us a bit about this job and so forth. Tony: I've been a Set Medic for 12 years. Sometimes I tell people that the job is a lot like being a Lifeguard except that I can read the newspaper. Actually the job does involve being prepared for any sort of emergency. Most of the time I hand out aspirin and band aids. CR: What is the hairiest medical situation you've had to contend with on the set... that you can tell us ? Tony: During reshoots for "Jurassic Park 3" at Flatrock Point in Palos Verdes, an abandoned boat was to be pulled onto the rocks by another boat. The Special Effects crew was using Spectra® line, which they said was stronger than steel cable and lighter weight. The line was connected to a false bow eye mounted below the waterline. The Stunt Coordinator and I were watching from behind the shiv through which the line ran. On the first take the rocks cut the line and it flew back in our direction. If it had been cable it would have taken our head off. Although it was a great vantage point I decided to move off to the side. I need to mention that all the equipment had to be dropped at the site by helicopter. The FX guys wanted the boat to come in faster on the second take. The first take weakened the bow and on the second take the false bow eye broke loose, flew through the air and struck the Stunt Coordinator in the middle of the forehead and cut him about a third of the way up his head. Everyone wanted to know if I wanted the helicopter to airlift the Coordinator to the hospital. I said yeah but the Coordinator said he'd be okay, just help him up the shale path to a waiting van. The wound required 63 stitches but he came back later in the day for a scene in King Harbor. CR: Follow-up question: Do you think that using cable instead of the Spectra line would have been better because of the rocks you mentioned ? Tony: I think that cable would stand up to rocks and barnacles better than the Spectra but the caveat is that now the braiding of a eye is usually more layered. Cable recoils in such a way that it's very dangerous. CR: What is the most comical medical situation that you've had to contend with on the set.... that you can tell us ? Tony: During filming of the movie "Human Nature" many in the crew and cast got poison oak. The lead actress was into natural remedies and made up a concoction of various herbs that she stuffed into cheesecloth and asked me to administer the remedy to those afflicted by the poison oak. The stuff had such a foul smell that no one wanted it on their skin. I told her everyone was very grateful for the cure. (Photo above shows LACo Recurrents, Tony Whitmore and Tom Katsouleas . Photo courtesy of Tony Whitmore. Used here with permission. Please do not reproduce without consent). 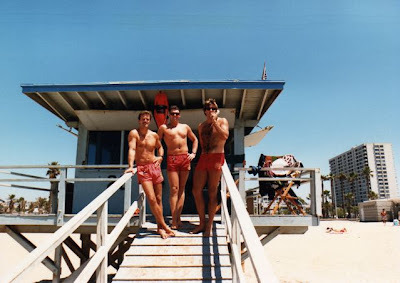 CR: How about a bit of background about your LACo Recurrent lifeguard career. And please include your memories of this photo above with you and Tom Katsouleas, the year, the events, etc. Tony: Wow ! July is going to be 32 years. I worked three years as a JG Instructor and eight years as a W.A.T.E.R. Program Instructor. 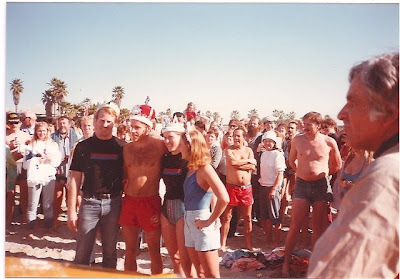 I believe the photo with Tom was taken at the Regional Championships at Laguna Niguel in 1982. This was following the race, which we won by the way. CR: How about a memorable rescue ? Tony: In the early days I worked SMS and late one day I saw a couple way out off Tower 17. As I reached the "victims" I realized that they weren't in distress, they were copulating. So it turned out to be a wet prevent. Tony: My rookie school included: Ron Pearlman, Mike Newman, Brad Schwitchenberg, Mike Moses, and those are just the names that stand out. Our instructors were Irwin Okamura, Bob Buchanan and Steve Saylors. It was Steve who convinced and taught Tom and I how to row. Racing dory's was great fun and I think Tom and I learned a lot working on the old SM boat. Well, Art did encourage me to take the Lifeguard test, so I owe him something. As I mentioned, I was on schedule at SMS and doubled at Tower 18 with Abby Schneider. He had very good advice that he passed on to me. 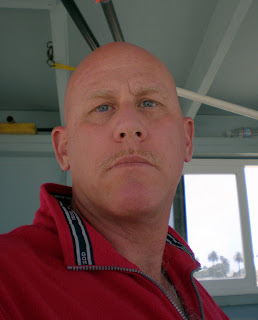 I can't forget Eddy Love who called me one day and said, "Do you wanna be our Sailing Instructor?" We were living in the San Joaquin Valley and I was coaching and substitute teaching at the time. "I don't know how to sail." "I'll teach you." I came down and he put me in a Sabot and let me go, but I learned. CR: Any advice for the rookie lifeguard or first or second year guard? Tony: There's always "Watch the Water" but I learned something else from Eddy Love; my first summer I was all over Venice. One day I'm at Ave. 21 sitting in the chair on the deck with my feet on the rail. Eddy came by, pointed up at the windows of Division and told me who sat in that office. He said, "It's not what you do, it's how you look." My feet came off the rail in a flash as I realized how important it was to behave in a professional manner. I've always kept that in mind and practice it on set and pass the sentiment on to new guards. CR: How do you stay or keep in shape ? Tony: Well, I've re-established a joy for swimming. I don't like someone giving me a workout but I can't make up workouts. Fortunately, a Google® search found a site that I love: www.swimplan.com It creates the sets and all I have to do is print them out. CR: Tell us about this final photo below you recently shot of one of the new dept. hybrid rescue vehicles ? Tony: Taken at Venice North this Spring. Enjoyable to drive but I don't have much experience with the vehicles. 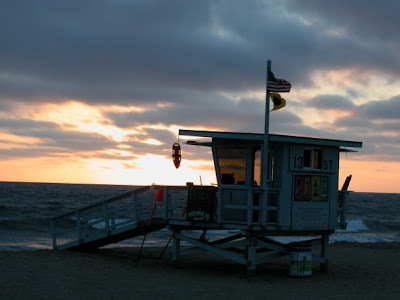 Thank you, Tony, for sharing with us your work on the set, and more importantly, some highlights of your 32 year LACo Recurrent Ocean Lifeguard career. "County Recurrent" has recently received an outpouring of support from its legion of loyal Recurrents. We've got a bunch of photos now to share with ya'all, with, of course, the customary commentary provided by the editorial staff here at County Recurrent's news desk. "Surfin' Safari: Mentawai Islands", by Chris Bredesen, LACo Recurrent O.L. 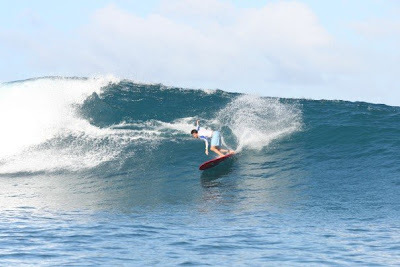 In this blog post, County Recurrent is pleased to interview LACo Recurrent, Chris Bredesen, who has enthusiastically agreed to share with us his recent surf trip to the Mentawai Islands in Indonesia in 2008 and to show us some photos. Needless to say, we are stoked! Favorite Quotations: "Work hard, play hard"
County Recurrent (CR): Good morning, Chris. Chris Bredesen (Chris): G'Day to all my fellow LACo Recurrents. CR: So tell us a bit about yourself? Chris: I was born on Christmas Day, 1982. 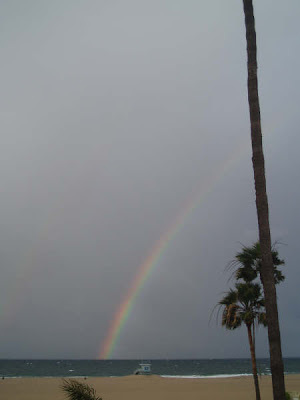 I grew up in Palos Verdes Estates, California and graduated from USC in 2005. In 2007 I got my MBA in Finance at Pepperdine. I've been a LACo Recurrent since 2001. The areas I've worked include all of Southern Section and a few times in Northern Section. When I'm not lifeguarding or surfing I am working on opening restaurants. I currently have opened up a café, called the M-Café, inside of the South Bay BMW dealership. I also will be opening a new restaurant in Manhattan Beach, called Memphis at the Beach. It will be open in June 2009 and will be located by the Manhattan Pier (where TOWNE is currently located). Come by and enjoy a family style atmosphere at a reasonable price. Oh, and the food is amazing! Chris: Well we all have had rescues in our careers that we never forget. Each one is special to someone for certain reasons. My most memorable rescue occurred about 2 summers ago at Dockweiler. Two brothers were swimming together and got stuck in a rip current. What was so scary was that the bigger brother was so scared of drowning that he was on top of his younger brother and drowning him. I swam out and had to physically push the bigger brother off the smaller one and hope that the younger one was still breathing. Fortunately he was ok and I swam them both in to the beach. The entire family came down and hugged and thanked me. It was a great feeling knowing that the entire family was going home safely. CR: Name some of your rookie school chums? Chris: My rookie school? You must mean the best rookie school ever! Talk about talent! 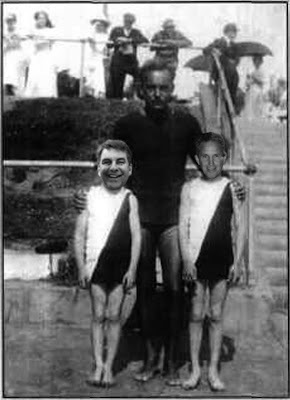 Blaine Morgan was an Olympic caliber swimmer, as well as Micah Carlson. My buddy Pat Fucci and the infamous Brian Murphy… we had a great class… I think Lidia Barillas is a permanent guard now… we all know who we are, CLASS of 2001! 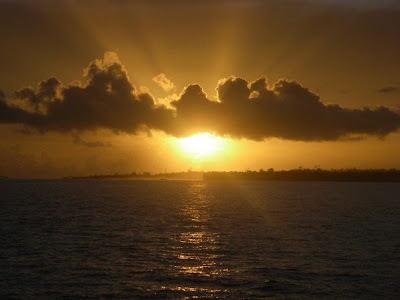 CR: When did you travel to the Mentawai Islands in Indonesia and for what purpose? Chris: Well I actually have been to the Mentawai Islands 4 other times. Two of the other times were for a video and photo shoot for Longboard Magazine. This time was completely for fun (the pictures were taken by us). It was a group of USC graduates that wanted to get back together and take a great trip together. CR: Tell us a bit about each of the photos below, as well as the photo at the top of this article ? Chris (re: photo above): This photo was taken at Lances Left I believe. It was pretty big that day (as I am around 6’6” tall, to give you some perspective) and really clean conditions. I rode the same 9’0” Hap Jacobs epoxy longboard all trip long and got really comfortable on these sized waves. I tried to take off a little deeper every day, and this wave set up perfectly for a nice sized barrel on the inside. Chris (re: photo above): Another left at another location (I am forgetting the name of this spot). This is what we call a backside roundhouse. I wanted to turn on the tail really hard, so I could have enough time to be able to hit the whitewater. CR: So what did you and your surf trip buds eat while in the Mentawai Islands ? Chris: Wow, great question. Well we paid a little extra on this trip to have the best cook, food, and boat. So at the beginning it was amazing food. I am talking high end food. Fish, pasta, desserts, etc… THEN, our cook and captain got in a fight and the cook got kicked off the boat. The captain cooked for us and it turned into toasted turkey sandwiches and hot dogs… disappointing. CR: What was your first meal back in the States? CR: Last Question. What is your favorite lifeguard rescue tool ? Chris: Surfboard. Not just because I love surfing, but because a surfboard can get to victims faster than swimming and you can safely rescue multiple victims and keep them above water with more surface area than a can… but we all love the rescue can, it is our briefcase for the office. CR: OK, we lied. Why USC ? Chris: Why USC? By far the best time of my life (other than the present time). Just being around other smart and motivated people helped me to better understand the business world, and to get me motivated to focus on my career. I have also made a majority of my connections because of USC. What other college will have you be surrounded by celebrities, pro athletes, multi multi millionaires and still get a top quality education. Not to mention the back to back National Football Championships we got when I was there. The girls are nice looking too. CR: And last but not least... So, since you were born on Christmas Day, how often have you been cursed with the infamous "Combination Birthday-Christmas Present" ? (Photo above shows Chris at far right. And with him, left to right are Travis Robinson, Patrick Fucci, Justin Dilg, and Nils Nerinheim. 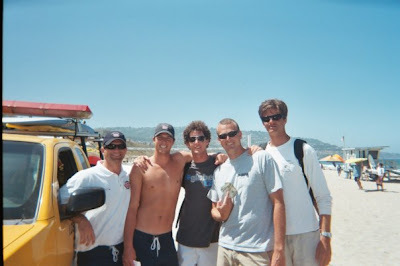 Summer of 2006. Photo courtesy of Chris Bredesen and Justin Dilg. On behalf of County Recurrent and all LACo Recurrents, Many Thanks to Chris for sharing a memorable rescue, his sportsmanship, camaraderie and loyalty to all things LACo Recurrency, and esp. for his sharing his epic surf trip to Indo. 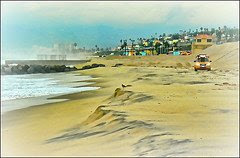 "Memories of the North Shore", by Bill Powers, LACo S.O.L., Ret. It was 1969, I was right in the middle of messing up an All American Swimming Career. By having a grade point average so low, I think it set some records. I was living out on Sunset point on the North Shore of Oahu (aka, 'the country'). I lived so close to the water that when the surf got big, it would wash up under the house and soak the sand floor in our garage, leaving my '52 Chrysler in the wet sand and unable to drive it until the sand dried. 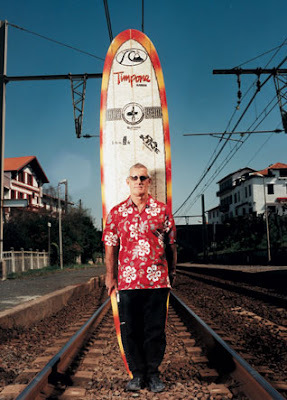 The neighborhood consisted of some of the best surfers and watermen in the world like Eddie Aikau and his younger brother, Clyde, Buzzy Trent, Ricky Grigg (Ricky Grigg was a Santa Monica City Beach lifeguard in the 60's) and others. You would see them in magazines, at the post office, the store, and in the line up at Sunset. The guy that lived next door, Jeff Hakman, won the "Duke Kahanamoku Invitational Surfing Championship", which is only held in Very Large Surf, two years back to back (in '71 and '72). We were good friends. I would always watch his timing and positioning as it saved me some big swims. Jeff took me out on my first day at Pipeline and it was Huge ! I got three waves that day and called it quits. Jeff, meanwhile, would take off on one of every five waves, it seemed. There were some great surf spots, all within about 10 miles from V-Land (aka, Velzyland) and Haleiwa. But when you live at Sunset, it's the first place you check. Sunset to me was the "Classic" Surf spot. Coming from the mainland anything head high or so was a Big Day. Sunset in 1969 would completely blow your mind. On the larger days when the trade winds blew into the face of the waves, it would stand them up another third bigger and make the top almost transparent. It was like a two-story building going by at 20 mph. 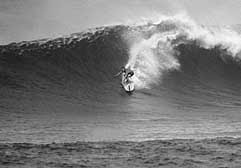 When the trade winds would get strong, it would blow spray over 50 yards behind the waves with just the Biggest Drops you ever saw as you paddled out in the channel close to the break. 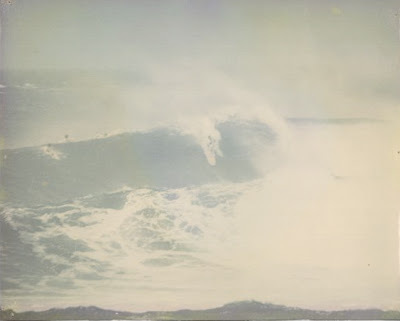 You would take off on a wave and make the Big Drop, make your turn at the bottom, go back up the wave whereupon the wave would then engulf you and then the wind out of the barrel would almost blast you off the front of your board from behind. To avoid this occurring, you had to lean back into the wind out of the barrel. The sound of these waves was like nothing I had ever heard... it would make your heart pound. If you were paddling out in the impact area and punched through the top of a wave the three things that you would do is: hyperventilate, paddle as hard as you could, and try to see the next wave. The next wave could be 100 yards away and the spray from the wave you just punched through would be landing all around you to the point where you could not see the nose of your board, let alone the next wave. The sound of the Big Drops landing all around you as you paddle as hard as you could was part of the Magic of the North Shore. Copyright Bill Powers 2009. All Rights Reserved. Used here with permission. 10) From Central Section. Santa Monica South Tower 22, view from inside toward rip at SMS Tower 24. Photo by and Copyright Will Maguire 2008. (9) From Central Section. Will Rogers Tower 18, as viewed from minus tide. Photo by Will Maguire. Copyright Will Maguire 2008. All Rights Reserved. (8) From Central Section. Santa Monica South Tower #22, occupied by a tower full of Class A uniformed S.O.L's, Captains and Chiefs, during rookie swim tryouts, Sept. 2008. Photo by and Copyright Will Maguire 2008. All Rights Reserved. (7) From Central Section. Santa Monica South Tower #26, circa 1986. Photo courtesy of O.L. Steve Hotchkiss. Left to right in photo, Steve Hotchkiss, Bob Frappia and Glenn DuPont. Used here with permission. (comment: This photo is so "Miami Vice" in its look. It is now a Classic of the mid-80's). (6) From Central Section. Santa Monica North Tower #2, in the background, as viewed from arrival of O.L. Arthur Verge, Ph.d at his May 2008 Wedding Reception at the Beach Club. Photo by and Copyright Will Maguire 2008. All Rights Reserved. (5) From Central Section. Santa Monica North Tower #9. Photo by Will Maguire. Copyright Will Maguire 2000. All Rights Reserved. (4) From Northern Section. Corral II Tower. Photo by Will Maguire. August 2007. Copyright Will Maguire 2007. All Rights Reserved. (3) From Southern Section. Playa Del Rey. Photo by Jamie Grant. Copyright Jamie Grant 2009. All Rights Reserved. Used here with permission. Reproduction without consent is prohibited. (2) From Central Section. Santa Monica South Tower #24, circa 2000. Photo by Steven J. Koeppe. Copyright Steve Koeppe. All Rights Reserved. Used here with permission. (comment: the original and weathered SMS Tower #24, above, before all the LACo towers were replaced several years later by the Dept.). (1) From Southern Section. 13th St. Tower. Photo by Tom Thorson. Copyright Tom Thorson 2008. All Rights Reserved. Used here with permission. Reproduction without consent is prohibited. (comment: The photographer, O.L. Tom Thorson, Ret., is a phenomenal photographer and in this photo captures all the elements possible at this moment in time. See for yourself). The Tube vs. The Can: The Untold Story ! That's right, we're talkin' mano y mano, a real-life cage fight between Two Champion Rescue Devices that have collectively saved certainly tens of thousands of lives, if not more. Perhaps this debate will never be fully resolved and certainly this article does not pretend to even shed any new light on this issue. "1974: Santa Monica, California, rookie Santa Monica City Ocean Lifeguard Arthur Verge trains with the now standard and current color Red version of the Pete Peterson rescue tube during the rookie school sessions held in May and June. "June 1974: Santa Monica, Calif., rookie Arthur Verge observed just off duty at nearby Hot Dog On A Stick (hereinafter, HDOAS) on his way home, in uniform, carrying his personal rescue tube..., chatting up one of the HDOAS Girls that he knows from high school at St. Monica's. ........... the passage of time (omitted are the following, including but not limited to: the WW Bun Woman, the Fugawi Tribe, Streaking at SMC, Baby Huey Appearance at UCSB, multiple sorority girlfriends, USC for Masters and Ph.d, Intl. Travel, More girlfriends, El Terasco runs (multiple), home purchase, tenure, more dating, more days on the beach; Film Projects with co-producer Samet, with actors Topar, the Topar children (x-ref: child labor laws unobserved), Makuta, etc. ; First Class Lufthansa seating to Austria on school boondoggles, with same wink wink arrangements with Quantas for later New Zealand and Aussie school trips, with pay...; Eric Shargo, Ph.d gets married sometime in the '90's causing tremblors and undersea magma shifts in the earth's crust, etc., et al). 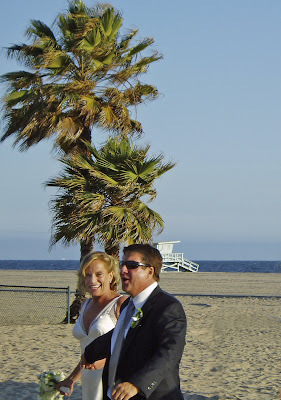 "May 2008: Santa Monica, Calif., Arthur Verge, Ph.d gets married to his lovely and beautiful bride, Mary Anne, at St. Monica's with a reception following at the Beach Club on Santa Monica North. Even the Parish Priest has to be given oxygen such is the shock. (out-take: June 2008, El Segundo, Calif., newly minted Mrs. Arthur Verge enrolls husband and Prof. Arthur Verge of El Camino College, and their now family dog in the City of El Segundo K-9 Training Academy's night school. Lessons immediately pay dividends with husband and dog religiously practicing their a.m. and p.m. around the block walks with poop scooping duties). "Jan. 2009: Santa Monica, Calif., Pete Peterson display plans announced for SM Museum on end of SM Pier.